The municipality of Lebak in the province of Sultan Kudarat celebrates its 70th Araw ng Lebak and 2nd Kapeonan Festival from August 7-18, 2017, with the theme “Lebak @ 70: Makasaysayan, Mapayapa, Maunlad.” The festival showcases the beautiful things the municipality has to offer as implied from the name of the festival, which literally means beautiful in the Dulangan Manobo language. In terms of their tourism products, Lebak has so much to offer. 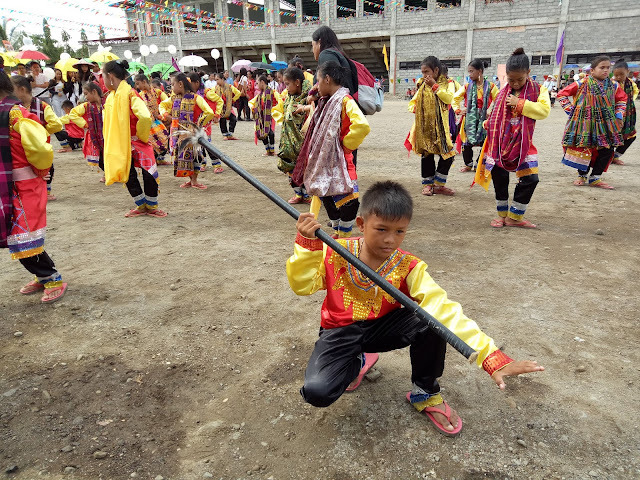 As RD Nelly emphasizes, they have events like the Kapeonan Festival, natural attractions such as their waterfalls, mountains, caves and beaches, and culture like the rich heritage of the Dulangan Manobo. “Capitalize on what you have. Highlight what’s unique in your municipality,” adds RD Nelly. Mayor Dionesio B. Besina encourages his constituents to make their place beautiful by taking care of their hometown. He also encourages the youth sector to step up and be leaders in their own ways since they will hopefully become the next leaders of their place. He is thankful for the assistance of DOT 12 and other government agencies in making Lebak a beautiful and liveable municipality. One of the projects of DOT 12 in Lebak is the Lebak Katunggan Coastal Eco Park in which they have provided funds (thru the BUB fund) in making the mangrove boardwalk. They have a soft launching of the said eco-park last August 15 and this was participated by the local officials and community members of Barangay Taguisa. As identified by the DOT 12, Lebak is one of the emerging destinations in Region 12.